Home>Articles>Independent gasification without being in a hurry and without slush: to be on time before summer cottage season will be opened. Beginning of summer cottage season is not far off. Somewhere the preparations are in the process, somewhere people see off the winter, somewhere people were waiting for the warmth and the tweet to … to become victims of the misapprehension which we would like to melt. 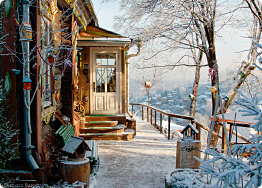 The most of the owners of private houses and summer cottage lots suppose that the winter is not appropriate time to organize independent gasification. 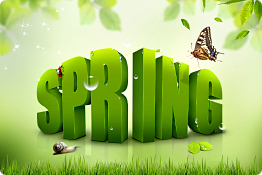 Those who are in panic about frozen ground and strained complications are waiting for spring. And now the spring comes; beautiful, turning green, smelling, but capricious and weepy: everything is flowing, floating; there is slush and dirt everywhere. On the depth of 5-10 cm ground is still frozen, upper – a real bog. Machines give up; there is no any possibility to make high quality mounting. And wait again until it dries up, and when the sun will shine brighter. They postpone for summer. And only now to go and address to sale agents and professionals from CG «Terrikom» willing to install on the lot «Antonio Merloni» independent gas tank. The problem is that EVERYBODY comes, orders are coming in mass, and the line is stretching from June to October. High quality Italian equipment is not enough for everybody who wishes – obliged to wait again. And in autumn …. In autumn it’s quite late. To avoid it let’s come back again to winter or in cold beginning of spring. The frost touched the ground; there is no any dirt and slush. Tractor equipped with special device can easily manage to organize a pit and trench. Frozen ground is not a problem; ground works are realized all the year. Winter is one of the best seasons to arrange independent gas supply. There is no any rush, and the discounts are the highest. No need to wait for the beginning of summer cottage season. To doubt, postpone and then to make a mad dash making an order and discover yourself in the end of long line. What’s the sense to bring yourself to the situation when you are ready to pay any money for the urgency and priority, just to manage during the summer to prepare for cold weather and give your private house comfort of independent gas? No need to postpone summer! This is how almost everybody does. Smart clients make it in winter! Winter is appropriate season to mount a system of independent gasification for private house! Ground works, before to install «Antonio Merloni» equipment, are successfully realized even in this season. Real spring is still not in a hurry - the ground is frozen, solar activity is still according to winter period, and warm wind can turn to other way round. You have the time. To install gas tank in winter? No problem! Instructions about ground works: independent gasification. On-site consultation and mount of gas tank.